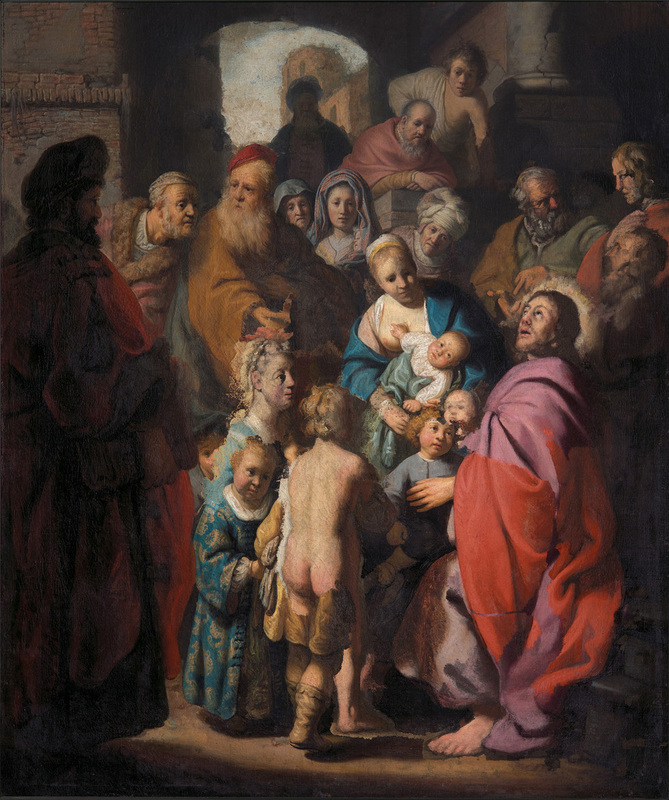 According to De Volkskrant, art dealer Jan Six noticed the painting at a German auction house in 2014 where it was listed as a mid-seventeenth-century ‘Niederländischer Meister’. Let the Children Come to Me seems to include a self-portrait of the young Rembrandt and a portrait of his mother. The painting, which is currently being restored, is the second Rembrandt that was discovered this year after Portrait of a Young Gentleman was re-attributed in May (see our news item).